An important point to make here is that consumers aren't concerned with how much a drug costs if their responsibility (cost share) is only a $5 or $10 copay. 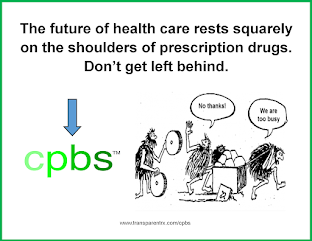 The reason CVS and other legacy PBMs get away with such an opaque practice lies squarely on the shoulders of payers. These payers include health insurance companies, self-funded employers, MCOs, unions, and government entities, for example. Watch the video below. Well there was a video, but I suspect CVS flexed its muscle and now there isn't a trace of it. Mail-order pharmacy services too may not deliver the cost savings promised during the sales pitch which won the legacy PBM your business. In fact, this practice of overcharging is a notorious cash cow for so called transparent or pass-through pricing PBMs whom offer prescriptions via mail-order pharmacy. Think about it...their first priority is shareholder return on equity not eliminating overpayments from clients. No matter what you're being told - your PBM is not fully transparent unless it provides a fiduciary standard of care. 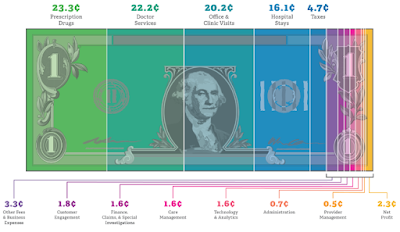 Most pharmacy benefit managers will overcharge its clients at every available opportunity. Unless of course the PBM offers a fiduciary standard of care and commits to it in writing. Instead of the typical fee-for-service contract obtain a fiduciary contract which guarantees "net" ingredient cost for prescription drugs dispensed as part of your prescription drug plan. Better yet, create your own fiduciary contract and put it out for bid vis-à-vis a reverse auction. See my earlier blog post, "Time to Blow Up Your PBM Strategy" to learn more about reverse auctions. Employers pay a higher admin fee with fiduciary contracts, but in the end total costs are significantly reduced. Furthermore, the price paid is completely transparent; there are no [legal] hidden fees. Of course, none of what I'm writing will make much difference if your PBM team is not well-trained or indifferent to change.